Hobby farmers look no further! 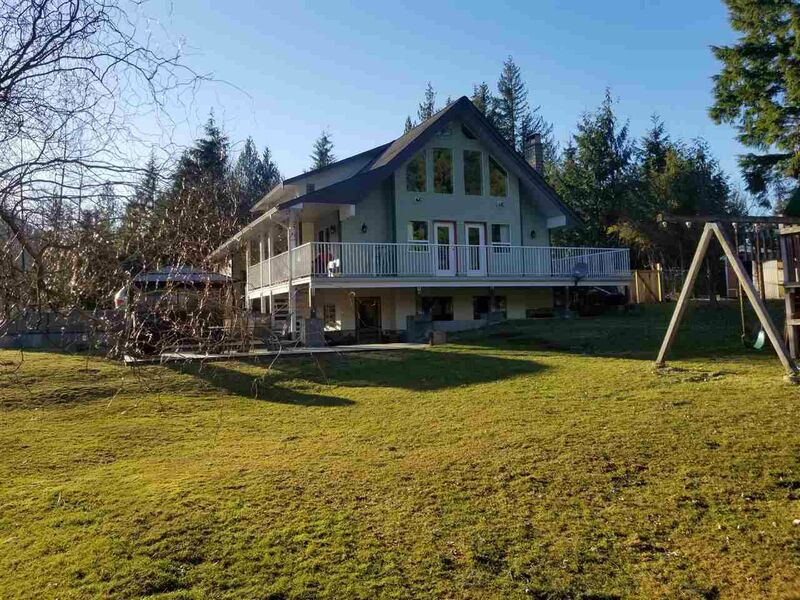 Fully fenced 4.6 acres with a fantastic 3-bedroom family home complete with unauthorized 2-bedroom executive basement suite; more than enough room for all your family, animals, gardening projects, vehicles and toys! So many bonus features: private and quiet location; spectacular views afforded by the surrounding mountains; several decks; patios and firepit for entertaining; a largely flat and usable lot; fenced animal enclosures & shelters; top-of-the-line septic system; deep well; new basement renovations; vaulted ceilings; fresh paint and more! This unique property is ready for you to realize your hobby farm dreams-and retain the existing farm status for an incredible break on property taxes!